The Metropolitan Museum of Art announced today that Michelangelo: Divine Draftsman and Designer, which closed yesterday at 9 p.m., attracted 702,516 visitors during its three-month run, placing it among the Museum’s most visited exhibitions of all time. 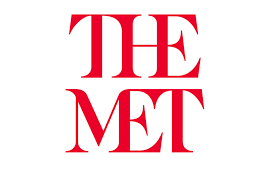 Opened on November 13, 2017, the exhibition joins such Met blockbusters as Treasures of Tutankhamun (1978), Mona Lisa (1963), and Picasso in The Metropolitan Museum of Art (2010) and ranks as the 10th most popular exhibition ever held at The Met in its 148-year history. It is also the most visited drawings exhibition ever organized by the Museum. On the show’s final day, the Museum remained open an extra three-and-a-half hours. The exhibition was organized by Carmen Bambach, Curator in The Met’s Department of Drawings and Prints. Michelangelo: Divine Draftsman and Designer presented a stunning range and number of works by the artist: 133 of his drawings, 3 of his marble sculptures, his earliest painting, and his wood architectural model for a chapel vault. A substantial body of complementary works by his teachers, associates, pupils, and artists who were influenced by him or who worked in collaboration with him was also displayed for comparison and context. Selected from 50 public and private collections in the United States and Europe, the exhibition brought together the largest group of original drawings by Michelangelo ever assembled for public display. The exhibition was made possible by Morgan Stanley. Additional support was provided by an anonymous donor, the Gail and Parker Gilbert Fund, the Diane W. and James E. Burke Fund, Dinah Seiver and Thomas E. Foster, Cathrin M. Stickney and Mark P. Gorenberg, Ann M. Spruill and Daniel H. Cantwell, and the Mark Pigott KBE Family. It was supported by an Indemnity from the Federal Council on the Arts and the Humanities.